Since SAT and ACT scores are among the most important factors in college admissions, it can be hard to deal with the anxiety that often comes with these tests. Follow these test prep tips to boost your scores and lower your stress levels. Any test prep plan should start with a practice SAT or practice ACT. Before you can set a goal, you need to figure out where you’re currently scoring – a diagnostic test is the best way to do that. To get the most accurate score, you’ll need to take your practice test under realistic testing conditions. If you choose to take a test at home, you should take the test in a quiet setting and time yourself for each section. Alternatively, consider taking a C2 Education diagnostic SAT or ACT, full-length tests administered under realistic testing conditions. Once you have your original test scores, you’ll need to set some goals. If you already have a list of colleges where you know you want to apply, research the median test scores from prior admitted classes. The College Board’s Big Future website has a search tool that provides this information for hundreds of colleges. Compare your original scores to the average scores for your target schools, and use this information to set your score goals. Your goal will determine what kind of study schedule you create. 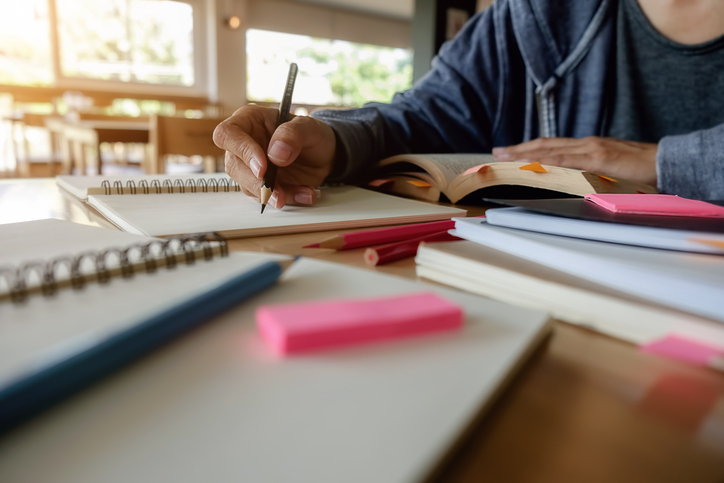 After all, if you need to boost your SAT score by more than 100 points, you’ll need to set aside more time than if you hope to boost your score by 40 or 50 points. One of the most valuable things you can learn from your diagnostic SAT or ACT is where to target your test prep. If there are certain types of questions that you did particularly poorly on, you know you need to focus on those questions. For example, if your writing score wasn’t as high as you’d like and you noticed that you didn’t do very well on organization questions, you know that you need to spend extra time studying transitions and paragraph cohesion. Although you’ll want to spend more time on your weakest areas, you’ll still need to spend some time reviewing areas you did really well on so that you can maintain your skills. 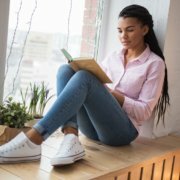 On both the ACT and the SAT, the reading and writing sections are passage-based, which means there’s a lot of reading to be done in a short amount of time. 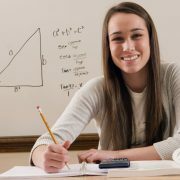 Both tests also include word problems on the math section – in fact, many students have reported that one of the hardest parts of the SAT math section is that it is very text heavy, so even the math section requires the ability to read efficiently. There is no shortcut to learn to read quickly and efficiently. The only way to gain that skill is through lots of practice. The more you read, the better a reader you’ll become. Whether you prefer to read novels, magazines, or news articles, simply pick some reasonably complex text and make sure that you read every single day. Especially if you’re studying on your own, practice tests are your best friend. Taking practice tests can help you to not only master the content of the tests, but also improve your time management, combat testing anxiety, and boost your confidence by allowing you to familiarize yourself with the test format and question types ahead of time. 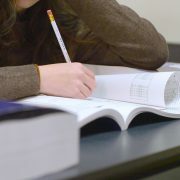 By knowing exactly what you’re going to face on test day – the types of questions, how many passages, what the instructions say, and so on – you can enter the testing space with confidence. Testing anxiety is reduced by familiarity, and you won’t waste precious minutes parsing the wording of instructions or wondering what information a particular type of question is asking for. It’s tempting to stay up late doing some last minute cramming for the SAT or ACT, but your best bet is to go to bed early! In fact, researchers at UCLA found that sacrificing sleep for extra study time actually has adverse effects on academic performance. Sleep is important for retention, and the first half of the night contains the largest amounts of so-called “deep sleep,” which is when the brain consolidates new facts. To get a good night’s sleep, avoid screen time for at least an hour before you plan to hit the hay. The blue light from televisions, smart phones, and computers can make it harder to fall asleep, and lying awake staring at the ceiling won’t help you on test day. Your SAT or ACT exam is probably going to take place pretty early on a Saturday morning, so it’s easy to rush out the door without eating breakfast first. Like any other organ in the body, your brain needs food to function properly, so breakfast is important! Prep a healthy breakfast the night before and set your alarm a few minutes early so that you have time for some brain food. Research shows that a breakfast low in sugar – think whole wheat toast and eggs – improves the ability to maintain attention, and maintaining attention is pretty important when you’re about to take a 3+ hour long test. To reduce test day stress, get everything you’ll need together the night before the test. Be sure to bring an approved calculator, several sharpened pencils with erasers, your ID, and your registration information. Check the list of banned items for the SAT or ACT to make sure you don’t accidentally bring something you’re not allowed to have. This includes certain types of calculators, pretty much any electronic device (leave your phone in the car or turn it off and keep it in your bag), and food or drink. A lot of absolutely brilliant students are disappointed by their SAT or ACT scores because they froze up on test day. The ACT and SAT are high stakes tests, so it’s easy to get inside your own head and overthink things. 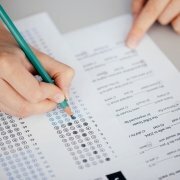 Before test day, work on some anxiety reducing techniques to help you beat testing anxiety and boost SAT and ACT scores. For example, you could try positive visualization – picture yourself looking at your really amazing test scores in a few weeks. Or you could try deep breathing, which has the added benefit of ensuring that your brain has ample oxygen to work with. Inhale using your diaphragm (not your chest) for a count of 5, hold the breath for a count of 4, then exhale slowly for a count of 7. Keep SAT and ACT scores in perspective. Yes, they’re an important part of the college admissions process. But remember that these tests are not a one and done event – if you don’t like your scores, you’re free to try again or to try a different test altogether. And, as any college admissions officer will gladly tell you, you are more than just a number on a page. Don’t forget that the college admissions process involves a lot more than just your test scores. If you’re still worried about any part of the college admissions process, talk to your school’s college counselor or sign up for a free consultation at your local C2 Education center.